The Norfolk Vet Products team is dedicated to meeting the demands of modern veterinary medicine. We adapt the latest human medical advances to provide state-of-the-art devices for specialty veterinary care. Our story began nearly 40 years ago when our parent company, Norfolk Medical Products, pioneered the field of Vascular Access Ports (V-A-P) for delivering chemotherapy in humans. Innovative veterinarians evaluated our technology for use in pre-clinical and clinical veterinary medicine, which led to the creation of Norfolk Vet Products. Our customers recognize that as their partners, we are always exploring, always designing, always refining and always innovating on behalf of veterinarians and the patients they serve. Our best friends deserve the best care. This philosophy inspires us every day. 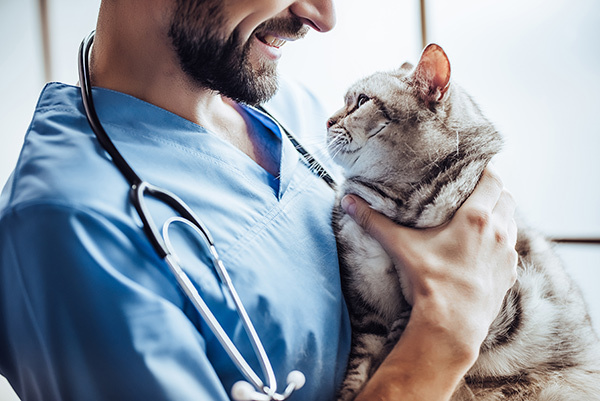 We appreciate that veterinarians nurture the human-animal bond, recognizing that the needs of animal patients and human clients must be considered simultaneously.